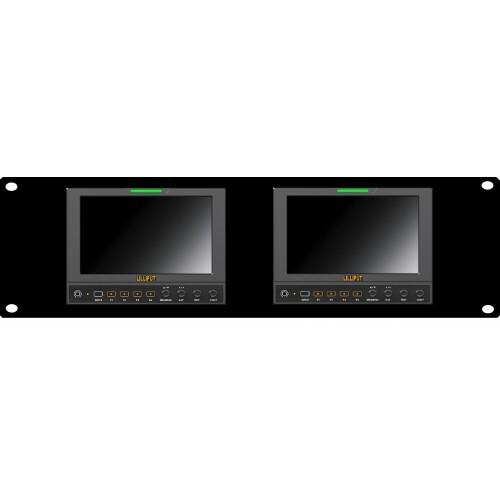 The Lilliput RM-662/S monitor system is a dual 7" widescreen panel LCD field monitor with 3G SDI ,HDMI, YPbPr Component (via BNC) and Composite Video (via BNC) input. Designed to be mounted in a 19" 4U Rackmount, it features a host of additional photographers tools and functions such as peaking, sound level metering, and false colours. PLEASE CHECK THAT YOUR INPUT FEED FREQUENCY IS COMPATIBLE WITH THE INPUT FREQUENCIES OF THIS MONITOR (WHICH FEATURES OUR 2674 CHIPSET) BY CLICKING HERE FOR OUR LIST OF MONITORS AND SUPPORTED FREQUENCIES TYPES. 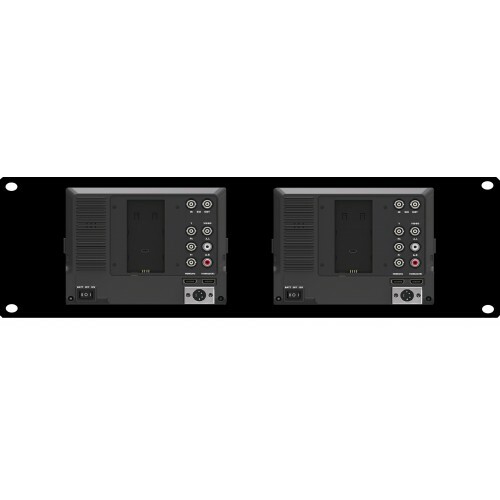 The system is designed to be installed into a 19" Rackmount cabinet, with connectivity for the monitors available at the back of the unit. For further information please click the Specification tab above. Quality of image is a prime factor in the use of the RM662/S unit, and the panels both feature a plethora of camera assist functions which will allow you to optimise your photography. These features include Waveforms, Vector Scopes, Sound Level Readouts, False Colour, and Peaking amongst many others. Both panels of the RM662/S feature both an HDMI and SDI output, which allows you to feed the output from the monitor to another external HDMI input. In this way you can construct an easy and relatively inexpensive video array - the output being compatible with any HDMI input device. The RM662/S features an ultra high native resolution of 1280x800 pixels with intelligent scaling applied when receiving higher resolution HDMI signals.This high resolution gives an extremely detailed image potentially avoiding problems in the post-production environment making it an ideal choice for the discerning professional user. The RM662/S features an ultra high 800:1 contrast ratio as a product of its advanced LED backlight design. As a result, the displays will portray highly accurate renditions of your input composition - helping to avoid issues in post-production. Each monitor unit has 4x Programmable Function buttons that will allow you to assign a specific function of the montior to each button. 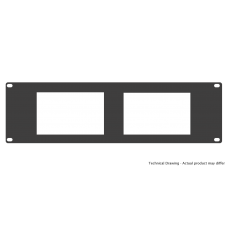 Quick and easy to assign, these buttons allow for speedier access to some of the monitors more useful functions. The RM662/S has been designed to accept a wide range of input voltages from 6 to 24V. You can make connections using either a 12VDC input, or an XLR input. This allows for power feed connections to diverse power sources, offering greater flexibility of installation.